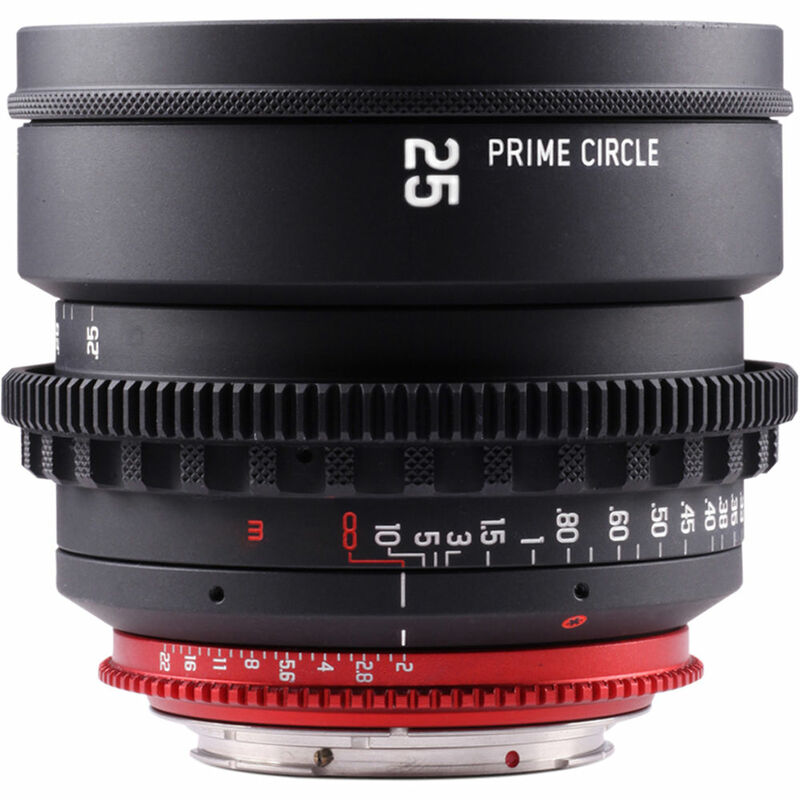 The PrimeCircle XM Series Canon EF Mount 25mm f/2.0 Lens from LOCKCIRCLE features cine-style metric focus scales on both sides of the lens barrel and has a full-frame 24 x 36mm sensor coverage. It offers manual focus and manual aperture. The lens employs the ZEISS Distagon T* optical design with an eleven-elements-in-10-groups construction. The aspheric surface ensures consistent imaging performance throughout the entire focusing range as well as sharpness to the periphery of the image by reducing or eliminating spherical aberration.